Jaed Muncharoen Coffin is the author of A Chant to Soothe Wild Elephants (Da Capo/Perseus), a memoir which chronicles his experience as a Buddhist monk in his mother’s native village in Thailand. His forthcoming book, Roughhouse Friday (Riverhead/Penguin), is about the year he fought as the middleweight champion of a barroom boxing show in Juneau, Alaska. Recently, Jaed served as the 2009 William Sloane Fellow at Bread Loaf Writers Conference, the 2009-10 Wilson Fellow in Creative Writing at Deerfield Academy, and the 2008 Resident Fellow at the Island Institute in Sitka, Alaska. His nonfiction has appeared in numerous magazines and journals, and he is a regular contributor to Down East Magazine. 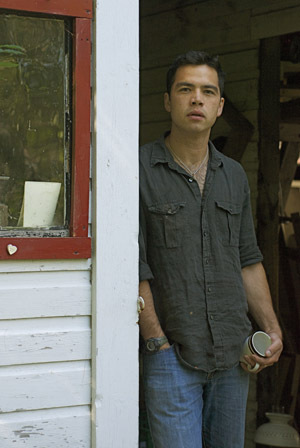 Jaed lives in his hometown of Brunswick, Maine, and teaches at University of Southern Maine’s Stonecoast MFA.